✅ Trip Verified | Amsterdam to Berlin. 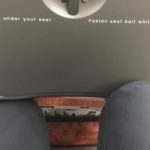 Easyjet is awful. My biggest piece of advice is to book any other airline but this one. Literally any other one is better. They make you think you are paying for a cheap flight but then add on for their baggage restrictions so you end up having to pay far more. ✅ Trip Verified | Bordeaux Billi to Luton with easyJet. Billi terminal at Bordeaux is very poor. Crowded, over-priced and lacking in facilties for seating and toilets. Passport control is chaotic - long queues. My small case was not allowed into cabin without explanation. Treated like cattle. Not Verified | Venice to Paris. This was the worst experience I have had with an airline. We booked our flight two and a half months ahead of time, and when I went to check-in for my flight, the website had said I had to visit the desk when I arrived at the airport. Thinking there was no issue, I arrived at the airport for EasyJet to tell me that I did not have a seat on the plane. Her exact words were, "You paid for the flight, not for a seat." Apparently, people who pay 24 euros extra to choose their seat have priority in getting a seat on the plane over those who do not. So, since they overbooked the flight, I did not have a seat on the plane I paid for (and neither did my friend), but our other friend did and had to travel to Paris alone. A worker escorted my friend and I to a counter where we got a new reservation for a flight that was 5 hours later than our original flight. 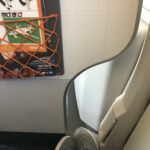 We did get a 9 euro voucher and "speedy boarding," but overall a flawed system and do not recommend booking with EasyJet unless you want to pay 24 euros extra to choose a seat or want to run the risk of spending 10 hours (total) in the airport. We also had to go through security again after visiting the counter where they rescheduled our flight. That was fun. "unhappy with service in Schiphol"
✅ Trip Verified | Our flight to Amsterdam was perfect. We were able to put a cabin bag on and a small back pack with no issues. On our return home we were made to combine our small back packs (which were fine on the way there) in to our cabin bags. The crew in the airport could not give reason as to why we weren’t allowed the same as the way there - their only reply was “well you were lucky on the way here then” in a very sly and sarcastic tone. They wanted to charge us €60 per case to go in the hold. I felt humiliated and embarrassed, having to pull out personal items such as underwear etc in front of over 100 individuals who were getting on to the flight. There was no privacy provided to try and rearrange the bags. After re-arranging the bags, and managing to get everything in to the one bag, the crew in the airport then called to say that cabin bags could be put in the hold for free as the flight was busy and they would need any space possible. They do this after watching us struggle to put our items all in to one small cabin case. Why could they not have just let us wait till the end, and asked us to put our cases in the hold? This would not have been an issue in the slightest. Disappointed, humiliated and extremely unhappy with the service provided by the team in Schiphol Airport today. ✅ Trip Verified | Verona to Gatwick. Won't allow a handbag and mini suitcase, many people trying to squeeze their things into an already full suitcase - which now makes it over their limit anyway so what's the point? The staff are miserable at best. You wait 20 minutes before the bus leaves to drive you 30 seconds to the aircraft and then a further 5 minutes trapped like sardines whilst they try and work out what they're doing. Harass you on the flight with various lotto, food and other items they wish to sell. "book with a different airline"
✅ Trip Verified | Naples to Venice. We booked this flight well in advance. 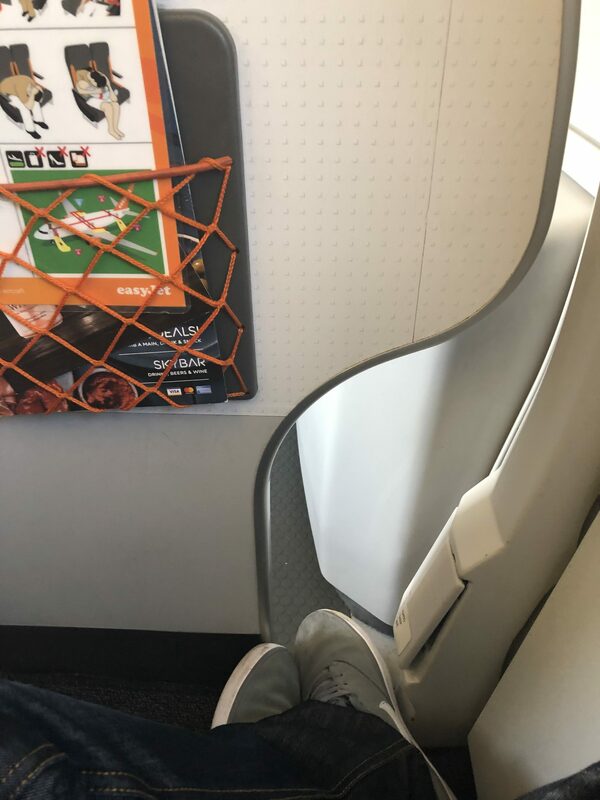 I have never flown with easyJet and it was my first time traveling to and within Europe. Our flight was cancelled the morning of our flight and after talking to the easyJet staff we were told no flights would be available for the next 2 days including the day that we were intended to fly. The strange part was that there were other easyJet flights flying out of the same airport the same afternoon just a few hours after our flight was cancelled due to a "strike". We had reservations and plans booked in Venice in advance for this trip so we needed to get to our destination. There is no travel insurance that will reimburse you for your cancelled flight unless the entire airport was shut down due to weather - that leaves it up the the airline. Travel insurance will also not reimburse you for costs incurred due to the cancelation and will not reimburse for reservations that were ruined as a result. There was no offered compensation or alternative option of travel offered by the airline. We were refunded the cost of our flight but that does not compare to that we needed to book tickets on an alternative airline which cost 9 fold. Pay 80$ now for a flight but pay 700$ at the door for an alternative flight. 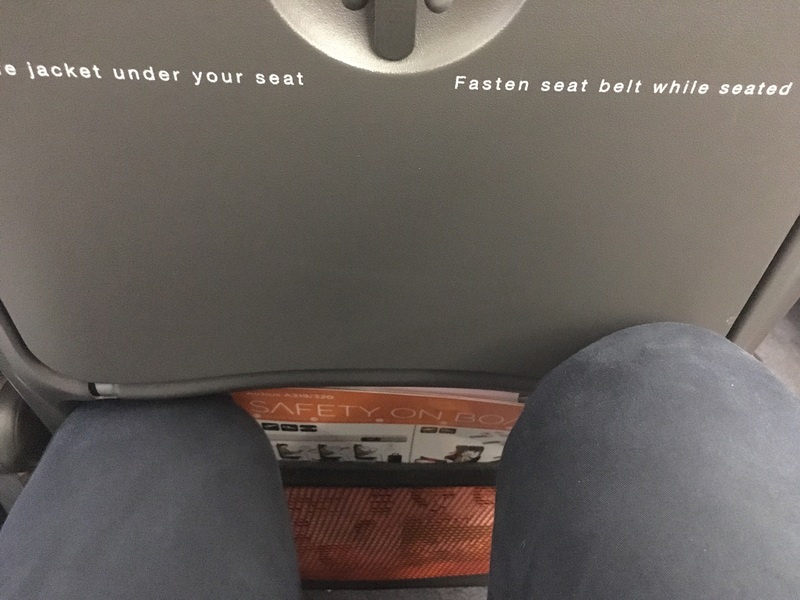 Thank you easyJet for this experience. Pay the extra money to book with a different airline and save yourself a headache. My mistake was not doing the research with this airline. I was told by others that last minute flight cancelation happens frequently with easyJet. After an awesome weekend on the Amalfi coast this airline experience really felt like a kick in the gut nearly made me just want to go home and end my vacation early. "the service was very poor"
✅ Trip Verified | Luton to Amsterdam. After arriving in Amsterdam, we did not receive our luggage back. A report was made but we received no update at all until we called them. We luckily got our suitcase back after around 40 hours which we were grateful for. We do understand that these things happen, but the service was very poor throughout this. On our return in Amsterdam, the lady at the check in desk was probably one of the rudest people I have ever spoken to and it seemed like she went out of her way to make our journey harder. We were seeking advise for our case allowance as we had to buy more clothes due to us not receiving our luggage, and we were told completely different things by two EasyJet colleagues. One told us that we could pay for the hand luggage and combine the weight (costing 7€) but the lady on the desk told us we would have to pay 45€. We questioned this and they allowed us to put through the 7€ option once it was confirmed that we could do this. Even though my partner and I managed to thoroughly enjoy our trip to Amsterdam, EasyJet participated in making it one of the most stressful holidays I have been on. ✅ Trip Verified | Having flown with EasyJet before we were aware of the pit falls with flying with LCCs. The outbound flight from Luton to Pisa, left on time and the boarding was slick, and professional, despite only having one set of steps in operation. Paying the small extra fee for speedy boarding meant we were able to take our carry on bags on board as the flight was full. Cabin crew operated a full trolley service just after we took off and an extra drinks service before landing. There were regular updates from the cockpit during the flight and a warning that it was going to be a 'tad' bumpy just after take off and we need not worry as the aircraft was going hit cold air has it climbed to its cruising height. Due to a tail wind we arrived in Pisa 90 minutes ahead of scheduled. The return flight into Gatwick was of a high standard and the cabin crew seemed very professional and exceeded customer expectations. Again the cabin service was slick and polished. Easy jet have now followed other airlines and allow you to pre order a meal (Hot or Cold) prior to booking and you are served prior to the main service, this is a good idea and worth every penny of the cost. "not able to do online check in"
Not Verified | Milan to Berlin. I used the company many times and I never had any problem with EasyJet. I was coming back from Bangkok, after a 12 hours flight, after a 2 weeks holiday in Southeast Asia. Landed in Milano Malpensa, still 6 hours to my flight to Berlin, when I realize I was not able to do the online check in from my app, for me and my girlfriend. We tried 2 smartphones, and iPhone and a Samsung S8. No one worked. We reached the EasyJet desk as anxious about the issue. The employee at the desk advised us that the flight was "overbooked", and we were the first 2 passengers in overbooking. We booked and paid the tickets in November, and few hours before I got this brilliant news, and after that, the person at the desk said: I wish you luck. You might be able to board this flight. I used to work for an airline and I know how the system works with EasyJet, so I know that every flight has a no show percentage, but I do not expect to need to have luck to board a flight with a normal ticket, purchased more than 4 months ago. I had two options ahead of me: 1 wait till the end of the boarding even if I had a ticket already - 2 in case there was no seats available, getting a hotel room and wait time to be refunded, and leave the morning next. Both solutions were for me ridicolous as we are talking about tickets that I purchased more than 4 months before, considering the fact that I needed those tickets to get back home in Berlin. As I expected there were around 15-20 empty seats on board, but still I had to wait till the end of the boarding, so in the end I board the flight but still, this is unacceptable.